Kpaka Style is the most trusted online store offering you the best quality products at the most competitive rates. Ranging from top quality clothing, health supplements, electronics, top branded quality perfumes and grocery, Kpaka Style is your one stop shop for all your shopping needs. With our stock that is more than 10 thousand items, some of the best products we offer are American crew forming cream, American crew wax, better life cleaning products, earth's best organic baby food, halo cat food, halo dog food, hi ball energy drink and Sykik speakers. 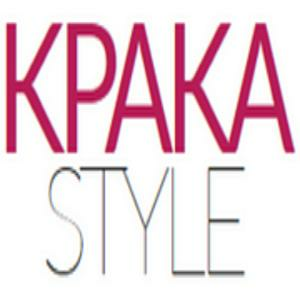 We guarantee you that at Kpaka Style, from the latest, unique and classic products, you will get your favorite product at the ease of your fingertips. Kpaka Style is the only store where you receive the best discount with the best brand names. All our products showcased our 100% genuine brand name perfumes, hair care, colognes, earth's best baby food and other health and beauty products. Along with superior quality and affordable prices, we pride in delivering the excellent customer service top all our clients. Visit our online store to browse through our wide range of products, More info about our product, call us or visit our website..